Blockchain and cryptocurrency are two fields that have been developing at a really fast speed. In the recent few years we have seen rapid growth in Blockchain technology as well as the crypto market. We have seen new blockchain companies getting started and new cryptocurrency being released at such a fast speed that it’d become difficult to keep up with the recent developments in the blockchain and crypto fields. In this article, I will list some best resources for people to get up-to-date information about blockchain and cryptocurrency. Although this list might not be very long and doesn’t mean to be very comprehensive, it hopefully contains the best ones and it hope it can become a good starting point for anybody looking for blockchain and crypto resources. CoinDesk is one of the top media websites for blockchain technology and cryptocurrency. This site started publishing in 2003 and since then has been growing fast with popularity. CoinDesk features up-to-date news on bitcoin and other crptocurrencies, as well as updates on the recent development of the blockchain technology. CoinDesk also maintains the Bitcoin Price Index, which is an average of bitcoin prices across bitcoin exchanges. TodayOnChain is a news aggregator for blockchain and cryptocurrency. On this site you can find a big collection of news from many different resources, including blockchain/crypto media such as CoinDesk, CoinTelegraph, CCN etc. as well as mainstream media such as Fortune, Forbes, CNBC etc. The nice thing about TodayOnChain is that since it’s a very comprehensive aggregator of blockchain/crypto news, you can visit this single site to access news from many different sources. In other words, TodayOnChain is a one-stop place for blockchain and crypto news. CoinTelegraph provides new about Bitcoin, Ethereum and other cryptocurrencies, as well as analysis and reviews about blockchain technology and the crypto market. It’s a very active sites that publishes many news and articles per day. Also, CoinTelegraph is available in multiple languages, including Engish, Spanish, Brazilian, Serbian and Japanese etc. CCN is part of a media company registered in Norway. CCN’s website provides news and articles on cryptocurrencies such as Bitcoin, Ethetreum, as well as industrial news in the blockchain fields. In addition to blockchain and crypto news, CCN also provides information such as crypto market cap, cryptocurrency news, ICO calendar, event calendar and other types of resources. Null TX (previously The Merkle) provides the latest news in crypto along with educational articles regarding Bitcoin, Ethereum and other cryptocurrencies. It also has a dedicated finance section which features news in the financial technology sectors. This site publishes many news and articles per day. NullTX was founded in 2014 with its headquarter in San Francisco. NewsBTC is a news and resource platform on blockchain and crypto, operating since 2013. NewsBTC offers news, reviews, technical analysis and other information to the blockchain and cryptocurrency community. NewsBTC publishes many articles and news per day and also provides additional resources such as educational articles, blockchain company directory, ICO listings adn event calendar etc. Bitcoinist was founded in 2013. Despite of its name, Bitcoinist not only covers Bitcoin, but also provides news and sources about other cryptocurrencies and the blockchain technology in general. Bitcoinist publishes several articles and news per day, covering a range of topics in crypto and blockchain. 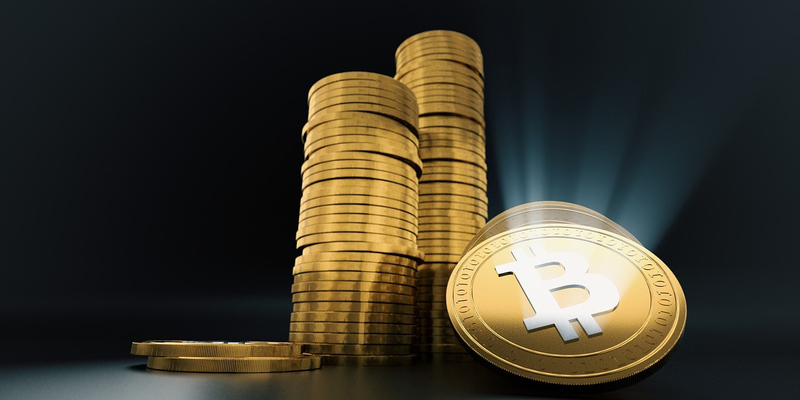 Bitcoin Magazine is the first publication devoted exclusively to Bitcoin. Its founders include Vitalik Buterin, which is the creator of Ethereum. Now BTC Magazine not only covers Bitcoin, but also covers other cryptocurrencies and the blockchain technology in general. Bitcoin Magazine provides analysis, research, education and thought leadership at the intersection of finance and technology. CryptoSlate is a blockchain media with the mission “to deliver transparent and accurate coverage of cryptocurrency and blockchain adoption”. It was founded in 2017 and is based in Seattle. CryptoSlate’s website provides regularly updated news and articles related to blockchain and cryptocurrency. It also provides ICOs, cryptocurrency rankings and blockchain events. Above is a list of the top cryptocurrency and blockchain news sites. You can visit these sites to stay updated in the field of blockchain and cryptocurrency. Enjoy!